Both Iran and the regime of Syrian President Bashar al-Assad condemned Saudi Arabia’s military operation “Decisive Storm” against the Houthis on Thursday. The Iranian Foreign Ministry demanded on Thursday an immediate halt to the Saudi-led military operation describing it as “military aggression,” semi-Official Fars news agency reported. “The Saudi-led air strikes should stop immediately and it is against Yemen’s sovereignty,” the Students News Agency quoted Iranian Foreign Minister Mohammad Javad Zarif as saying, according to AFP. 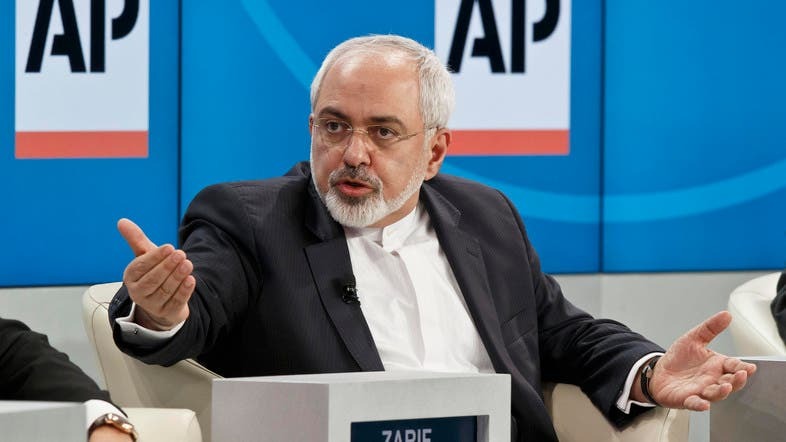 “We will make all efforts to control crisis in Yemen,” Zarif said, according to the agency’s report from the Swiss city of Lausanne where he is negotiating with world powers on curbing Iran’s nuclear programme. “Iran wants an immediate halt to all military aggressions and air strikes against Yemen and its people ... Military actions in Yemen, which faces a domestic crisis, ... will further complicate the situation ... and will hinder efforts to resolve the crisis through peaceful ways,” Fars quoted Foreign Ministry spokeswoman Marzieh Afkham as saying, Reuters news agency reported. Meanwhile, the Syrian state news agency said: “Gulf war planes led by the regime of the Saudi family launch a blatant aggression on Yemen,” read a headline carried on the website of the state news agency SANA. The Assad regime is an ally of Iran, which is in turn allied with the Yemeni Houthi rebels who are fighting to oust the country’s U.S.-backed president. Iran denies providing money and training to the Shiite Houthi militia in Yemen. Saudi Arabia launched Operation Decisive Storm late Wednesday to counter Houthi rebels who have besieged the southern city of Aden, where President Abd-Rabbu Mansour Hadi has been holding court. Violence has spread across Yemen since last year, with Houthi militia seizing Sanaa and sidelining U.S. ally President Abd-Rabbu Mansour Hadi. It has made Yemen a front in Saudi Arabia’s region-wide rivalry with Shi’ite-dominated Iran. Iran denies providing money and training to the Shi’ite Houthi militia in Yemen, as alleged by some Western and Yemeni officials. Yemeni Foreign Minister Riyadh Yaseen called on Monday for Gulf Arab help to prevent the Houthis from gaining control of its Yemeni airspace. Afkham warned that the Saudi-led “aggression is a dangerous move which is in violation of international responsibilities for respecting the sovereignty of countries. “It will lead to spread of terrorism and extremism in the Middle East region,” Fars quoted her as saying.